On Monday, we told you that Microsoft had sent out invitations to its event on May 20th. During the festivities, Microsoft is expected to introduce the Microsoft Surface mini. As we mentioned yesterday, this slate is expected to be powered by a Snapdragon CPU instead of the NVIDIA Tegra chip that was under the hood of the full-sized Microsoft Surface 2. While Microsoft has apparently 86'd the built-in kickstand for the Surface mini, one of the cover accessories will be able to work as a kickstand. According to some new reports, the Surface mini will be available in Silver, like the Surface 2, and will support an Active Pen, similar to what is available for the Microsoft Surface Pro 2. Early speculation has the Microsoft Surface mini marketed as an outstanding device for note taking, which would make a digital pen or stylus a necessity. Most likely, there will be 32GB/64GB versions of the tablet, with 2GB of RAM. 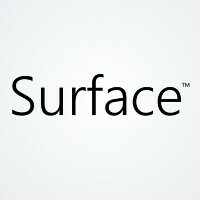 Initially, the Surface mini will have Wi-Fi only connectivity, with LTE enabled versions coming later. While earlier rumors had the screen on the Surface mini measured at 8 inches, the new report that we are looking at on Tuesday, lists the display as being 7.5 inches with resolution of 1440 x 1080. The screen on the Surface mini is believed to offer a 4:3 Aspect Ratio, in line with the Apple iPad. That compares to the 16:9 Aspect Ratio on the Surface and Surface Pro. The ARM based slate will have Windows RT installed, according to today's report, and should be shipped by the end of next month. Please NOOO.!! Not windows rt, we want full windows 8.1 ! Maybe they would use Intel Atom for that. Like everyone else did. But that doesn't sound pro-ish anymore. "winrt" is full windows on arm hardware. It actually can run any app properly compiled with recent runtimes, but MS won't allow it. Apple tablets use iOS and no one cries foul, indeed lauds them as revolutionary... MS doesn't make full blown windows for ARM and suddenly it becomes a problem? Don't people ever get tired of complaining?. Patiently waiting for this bad boy. Dont compare this with ipad please.? Ipad has so many apps on app store for ipad which rt cannot even dream of.! 1) It will have Full Windows 8.1 and it can run desktop apps + 200.000 apps from the store. This will NOT have w8.1 Full windows cannot run on snapdragon. I have an Surface with RT...gave away an ipad when I got it. Can't think of an app that I miss or that there isn't a replacement for. Nothing wrong with RT. Then why comment on an RT related article? This is going to be one crappy tablet. To all the RT haters out there: when you have FULL Internet Explorer, not a mobile OS browser, you don't need the apps. Apps are shortcuts, or as us old-timers used to call them, bookmarks. This is gonna be great. I might just buy it if it is priced right. With Samsung's still extremely high S-pen tablet prices, Microsoft can actually build some marketshare with the Surface mini if it also includes a high quality Wacom pen. Samsung needs to chop their tablet prices by 25% or more -- they are risking their entire market future with the high prices across almost all of Samsung's tablets. While they may have good share now, once better chips (lower power and faster) are available for running Windows, it will be plain to see that people will get a lot more for their money with a Windows 8.1/9.0 tablet than Android. This is especially true given Google's glacial pace of Android platform evolution and lack of attention to platform security. I like 8" for a mini tab. For taking notes, it seems a 4:3 aspect ratio, similar to paper, is pretty handy.